Another twist in the ongoing untangling of iCloud Photo Library and local storage. Nina Waite writes in on behalf of her traveling daughter, who is running out of storage while on the road. Her daughter set up iCloud Photo Library before she left, and now wants to get rid of images—she didn’t realize that deleting media now would delete it everywhere. Her daughter is using a library on an external hard drive attached to her MacBook Air. Will media on that drive be deleted if she deletes it from her iPhone? I’d first recommend reviewing my two columns about deleting media from iOS and macOS with iCloud Photo Library enabled: “Don’t delete your photos after turning on iCloud Photo Library” and “Yes, if you delete your photos from iCloud Photo Library, they’re deleted everywhere.” And I recognize that there’s a problem with Apple’s ease of use if I have to write two columns about this issue and people continue to send in questions when they can’t predict the outcome. Second, with iCloud Photo Library enabled, an iPhone shouldn’t fill up with media storage unless the library setting is to retain full-resolution images and videos. 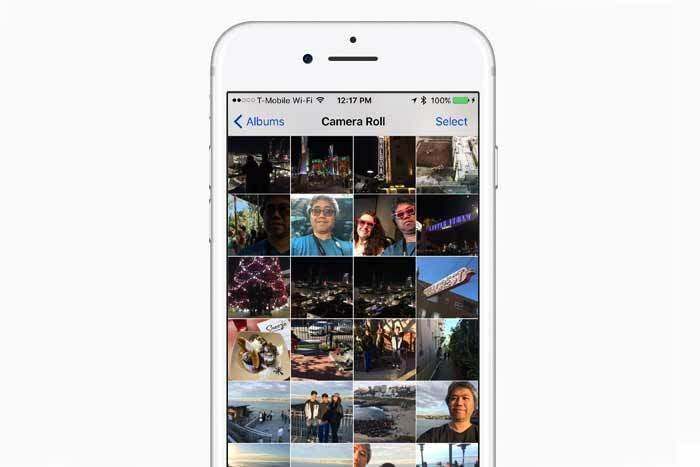 Make sure that the thumbnail option is enabled in Settings > iCloud > Photos by choosing Optimize iPhone Storage. That will delete full-resolution images after they’re synced to iCloud Photo Library if iOS needs the storage back. You can turn off iCloud Photo Library (also in Settings > iCloud > Photos) and not lose anything, but it’s a really ugly set of options. Because iOS doesn’t track which images were originally taken by the iPhone, you can’t simply say, “Retain images I captured here.” Instead, you’re presented with an option to remove all media items that aren’t fully downloaded or download the entire contents of your iCloud Photo Library. See “How to turn off iCloud Photo Library when you don’t have enough local storage” for more details. Disabling iCloud Photo Library does delete everything from iCloud, but you have various options about retaining images in iOS (see answer 2) and macOS (see “How to retain images in Photos when turning off iCloud Photo Library”).